Great for companies. Build your leadership pipeline! Invest in your people. Train them in management skills. Great for individuals. Learn skills for your next career promotion! Invest in your career. Are you a Business Owner, CEO, business head, intrapreneur, functional or operational heads, departmental head, middle level manager, group or team leader working in corporate or social organization, or a student? This program is for you. Free support by the author in this forum . Contact the author at support@learning-leadership.com for more ways obtaining support. 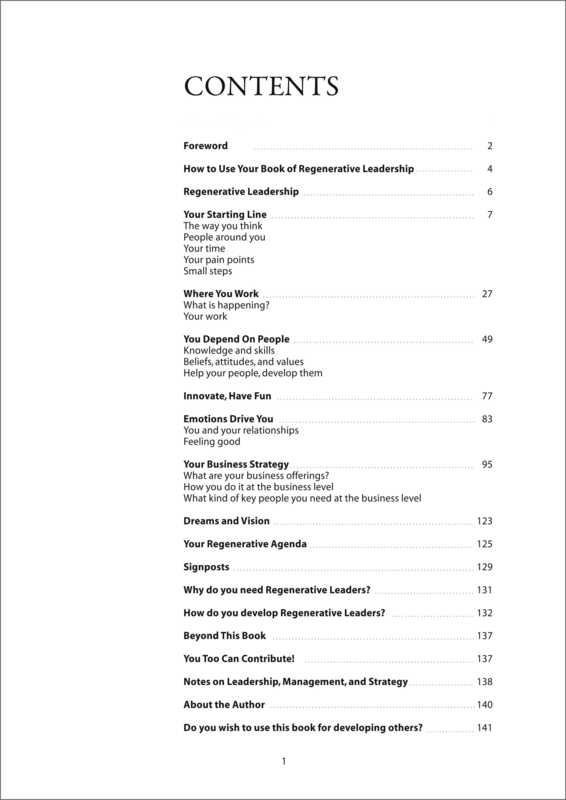 The “Lead to Regenerate” is the first of its kind book on leadership. Amid a huge number of leadership books that rely on flavor of the season jargon and case studies, this books stands out for its experiential, practice, and action based approach. This Program Book offers a self-paced and a self-learning leadership program based on the powerful ‘Regenerative Leadership’ framework. The learning takes place through workouts. Examples next to each workout help in understanding the workout better. Every workout results in personal actions. By the end of the program, a leader will have his or her own agenda. A before and after (taking actions) baseline comparison helps self assessment of the improvement in leadership skills. Accomplished business leaders and leadership experts have reviewed the book and have words of praise for it. Read.. The ‘Regenerative Leadership’ framework, on which this workbook is based, incorporates underlying principles of many well known leadership theories, concepts, and tools. Read about them.. 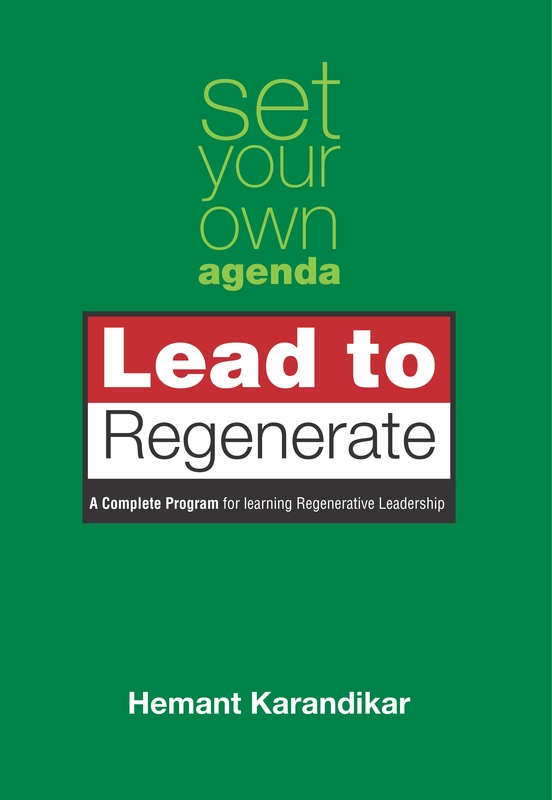 The ‘Lead to Regenerate’ workbook covers emotional, operation, and strategy areas.